Chicago, IL – Today, the Boeing Company announced that it has awarded the Thresholds Veterans Project an additional grant of $115,000 to support a variety of evidenced-based therapies designed to help veterans manage their symptoms and work through trauma. The award will enhance the Veterans Project’s capacity to provide three evidence-based therapies for veterans, including BREATHE, Acceptance and Commitment Therapy, and Dialectical Behavioral Therapy. Boeing’s contribution will also provide essential funding needed to increase therapeutic services, with a focus on increasing outreach to women veterans through systematic, targeted collaboration with community organizations serving this population. Women account for approximately 10% of the entire veteran population, but according to a study by the Disabled American Veterans, nearly one in five women veterans have delayed or gone without needed treatment, and more than half of those who did access care did so for mental health reasons. Chicago-based Boeing is the world’s largest aerospace company and leading manufacturer of commercial jetliners and defense, space and security systems. Through purposeful investments, employee engagement and thoughtful advocacy efforts, Boeing and its employees support innovative partnerships and programs that align with the company’s strategic objectives, create value and help build better communities worldwide. Boeing’s efforts are focused on improving access to globally competitive learning, contributing to workforce and skills development, and supporting our military and veteran communities. Thresholds is one of the largest providers of recovery services for mental health and substance use disorders in Illinois, providing healthcare, housing, and hope for thousands of persons with mental illnesses each year. Through care, employment, advocacy, and housing, Thresholds assists and inspires people with mental illnesses and substance use disorders to reclaim their lives. On November 6th, Illinoisans joined voters around the country in casting their ballots for elected officials to represent them at the federal, state, and local levels. Voter turn-out in many parts of our state was at a record high. Thank you to all the Thresholds advocates who took time to cast your vote and make your voice heard! We congratulate last night’s winners, both returning and newly-elected. Incoming elected officials will be sworn into office in January. As they are seated, we welcome the opportunity to partner with federal and state policymakers across the political spectrum to advance meaningful changes to mental health and substance use treatment policies and systems. We are encouraged by Governor-elect Pritzker’s focus on mental health, universal healthcare coverage, and identifying new sources of revenue. Balancing Illinois’ budget and sustainably funding healthcare, human services, and other critical supports necessary for ensuring that all Illinoisans have what they need to live well and thrive must be a top priority for the new Governor and his Administration. In spite of challenging and complex political and budgetary dynamics in recent years, together, we have made important strides on expanding access to early treatment, improving rates to grow services, and maintaining health coverage and consumer protections for those living with mental health and substance use conditions. In this next chapter, we look forward to continuing to work with our existing champions as well as the chance to cultivate new allies in the ongoing effort to preserve the Affordable Care Act, protect Medicaid, and strengthen access to mental health and substance use treatment. An overview of election results can be found here. Chicago, IL – Thresholds has been named one of Chicago’s most dynamic and supportive local workplaces, recognized by the Chicago Tribune’s Top Workplaces 2018 award. This is Thresholds’ fifth consecutive year receiving this honor. This award is a testament to Thresholds’ culture of caring and support, both for our clients and for each other. Every day, our staff put forth their best efforts in pursuit of a mission to help the thousands of individuals living with serious mental illnesses and substance use conditions. Companies are selected based on feedback from employee surveys that measure key qualities such as communication, company leadership, career opportunities, working environment, managerial skills, salary and benefits. Thresholds joined fellow honorees and more than 700 Chicago executives at the Top Workplaces 2018 event at Soldier Field on November 1. If you would like to join the Thresholds team, visit our Careers page and apply today! About Thresholds: Thresholds is one of the largest providers of recovery services for mental health and substance use disorders in Illinois, providing healthcare, housing, and hope for thousands of persons with mental illnesses each year. Through care, employment, advocacy, and housing, Thresholds assists and inspires people with mental illnesses and substance use disorders to reclaim their lives. This week, bi-partisan opioid legislation, called the SUPPORT for Patients and Communities Act, was signed into law. We commend both parties and both houses of Congress for coming together to stem the devastating opioid epidemic sweeping the nation. The package improves access to treatment by establishing grants for comprehensive recovery centers, expanding access to medication assisted treatment, and lifting barriers to residential treatment. At a time when overdose deaths and suicides are reaching record highs, strong action and a united front are needed now more than ever. While this legislation is an important step in the right direction, it is not a substitute for the larger investment needed to meaningfully grow access to mental health and substance use treatment. Decades of chronic under-investment coupled with Illinois’ recent budget impasse have left a major gap between the amount of treatment available and the number of people needing support. This is a good first step, but it is not enough to combat the ongoing opioid epidemic. We hope that lawmakers will build upon this consensus and commitment to continue to work toward ensuring that all people in all communities have access to the treatment and support they need to recover and thrive. In this month’s Donor Spotlight, Thresholds is featuring the Robert R. McCormick Foundation, a long-time supporter and partner of the agency. The McCormick Foundation’s philanthropic mission is to foster communities of educated, informed, and engaged citizens.Through its generous support, the foundation continues the legacy of Col. Robert R. McCormick to improve the lives of people in the Chicagoland. With more than $1.5B in assets, it provides support through philanthropic grant making and oversees Cantigny Park, a thriving center for recreation and community service. The McCormick Foundation has supported Thresholds for more than 40 years, playing an important role in helping the agency expand its services to different populations living with mental illness. This year the foundation extended its support to the Thresholds Westside Narcotics Diversion and Treatment Initiative. This program works with the Chicago Police Department to divert nonviolent drug offenders from incarceration by providing them immediate care. This includes life-saving medication-assisted treatment, psychiatry, treatment planning, and other services. The McCormick Foundation’s support is enabling the initiative to reach more clients and become sustainable. We are deeply grateful for The McCormick Foundation’s enduring support of Thresholds and for believing in the work we do! Chicago, IL – Today Governor Rauner signed the bi-partisan Early Mental Health and Addictions Treatment Act into law. Illinois will be the first state in the country to cover early treatment models through its Medicaid program if the federal government approves coverage. This early treatment is tailored for young people who have early signs of a serious mental health condition such as bi-polar disorder, severe depression or anxiety. Thresholds, in partnership with the Healthy Minds Healthy Lives Coalition, led the charge with a group of legislative leaders to address a glaring gap in Illinois’ continuum of care for mental health and substance use conditions. Early treatment can prevent costly institutional care for individuals with mental health and substance use conditions – particularly use of jails as mental health treatment centers. Mental health community treatment costs a fraction of treatment in jail (74% less) or hospitalization (95% less). Illinois, and the nation, are grappling with a long-standing mental health crisis. People of all ages who have treatable mental health conditions go without treatment for years due to stigma or a lack of access to the right treatment. This all too often leads to debilitating symptoms, high suicide rates, and substance use for self-medication. This legislation will stop that trajectory for thousands across our state and enable early treatment aimed specifically for adolescents and young adults so they can be well and thrive in life. “We know through research and practice that early intervention is key to reducing lifelong impact of serious mental health challenges. In Illinois, these mental health challenges often have to worsen to the point of disability before comprehensive, targeted treatment is covered. This bill takes the important first steps to address that gap,” says Marc Fagan, PsyD, Vice President of Clinical Operations & Youth Services at Thresholds. The legislation also takes steps to address the state’s raging overdose epidemic by allowing substance use treatment to be delivered in a person’s home or other setting, instead of solely in a community clinic. This approach has shown success in helping individuals cope with everyday life triggers that have led to the substance use, but until now, this type of treatment has not been covered through the state’s Medicaid program. 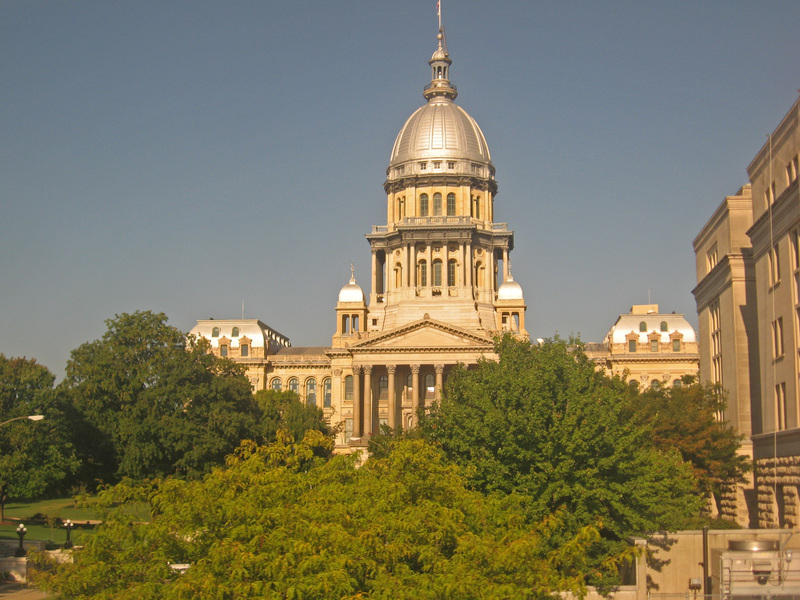 We want to thank Sen. Melinda Bush, Sen. Dale Righter, and Rep. Sara Feigenholtz for championing this legislation, all the members of the Illinois General Assembly who voted for it, and Governor Rauner for making Illinois a national leader in early mental health and substance use treatment. To learn more about Thresholds and the Healthy Minds Healthy Lives coalition, visit our website. Thresholds is pleased to feature the Community Mental Health Board of Oak Park Township (CMHB) in this month’s Donor Spotlight. Started by the Oak Park Township following a referendum in 1973, the CMHB is comprised of nine Oak Park residents, committed to facilitating a wide range of mental health services for residents of Oak Park, including planning, coordinating, funding, and evaluating services. For over 10 years, the CMHB has been an extraordinary partner to Thresholds in assisting persons living with chronic mental illnesses in achieving and maintaining recovery. The CMHB fills a critical need by providing funding for uninsured individuals with serious mental illnesses living in Oak Park. With this funding, Thresholds is able to provide these individuals with community support, clinical interventions, and case management services that they would otherwise not have access to. Additionally, the CMHB has provided funding for infrastructure improvements for Thresholds’ residential building for Oak Park clients with mental illnesses. This has made it possible for Thresholds to purchase items such as computers, clothing, and furnishings to further enhance the lives of these clients. The Affordable Care Act (ACA) changed the landscape of healthcare for people living with mental health, substance use and other health conditions – establishing unprecedented consumer protections, expanding the types of care covered, and extending health coverage to more Americans than ever before. These advances paved the way for improved access to treatment and that is something worth fighting for. A new ACA repeal plan being pushed in Congress. 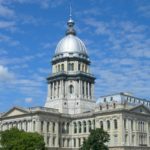 Introduction of legislation in Illinois to prevent future attempts to cut Medicaid. These are important steps forward but our work is not done. As our fight continues, we will be calling on you to take action when our advocacy is needed. Thank you for continuing to raise your voice! 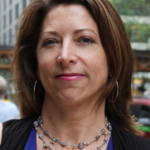 Heather O’Donnell, Senior Vice President of Public Policy and Advocacy, is Thresholds’ resident policy expert and one of the primary architects behind the Road Map to Mental Health Reform. 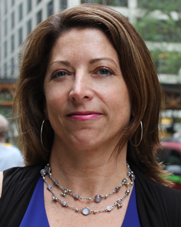 She is an attorney by trade and has a wealth of experience in health care and non-profit advocacy. 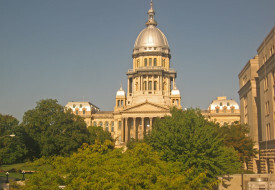 CHICAGO – Today, Thresholds applauds Governor Rauner and members of the General Assembly for prioritizing the best interests of Illinoisans by coming together to agree on a timely, bi-partisan state budget that preserves critical funding for mental health and substance use treatment and supportive housing. “We are pleased that elected officials in Springfield heeded our calls to maintain funding for treatment and took action to preserve vital investments and avoid devastating cuts. For decades, Illinois has struggled with an often overlooked mental health crisis and now many of our communities are being hit with the deadly opioid epidemic. Now is the time to invest in what works – treatment that saves lives and helps people get healthy,” says Heather O’Donnell, Senior Vice President of Public Policy and Advocacy at Thresholds. The fiscal year 2019 budget is a welcome sign of a renewed bi-partisan commitment to addressing gaps in access to treatment. We commend the Governor and General Assembly for taking a step in the right direction by working across party lines to invest in the healthcare and human services that make our communities stronger in this year’s budget. Thresholds’ Research Department was instrumental in the execution of a randomized controlled mental health trial comparing mobile health (mHealth) treatment (FOCUS) to the traditional clinic-based approach (WRAP), in a first-of-its-kind study implemented with academic partners. The research project also included support from Thresholds clinical operations at the Peer Success and New Freedom Center programs, as well as trained WRAP facilitators within the Thresholds workforce. The results, recently published in the scientific journal, Psychiatric Services, showed that mobile health options are equally effective and offer convenience and increased access to live-saving treatment. FOCUS is a phone app that allows individuals to participate in daily assessments and exclusive, 24-hour content, such as video and audio clips. It also allows individuals the option to receive support from an mHealth specialist. WRAP is a form of group therapy treatment led by a trained person with lived experience of mental illnesses, emphasizing self-management and wellness training. The study, led by PI Dr. Dror Ben-Zeev, included a group of 163 individuals with a history of serious mental illnesses, such as schizophrenia, bipolar disorder, and major depressive disorder, who were asked to participate in one of the two methods of intervention over a 12-week period. Assessments were completed before the trial, immediately following the trial, and six months post-intervention. All participants showed improvements in their overall mental health. The WRAP group showed significant advancement in recovery in their post-intervention assessments, while the FOCUS users reported improvements in both recovery and quality of life. One differential finding was the rate of activity and participation, which was significantly higher in the FOCUS group (90%) than the WRAP group (58%) through the first eight weeks of the trial. In keeping up with the modernization of healthcare in the 21st century, mobile health options are becoming increasingly popular and accessible. We hope the ease and convenience of using a smartphone to receive treatment services at any and all times will help to destigmatize mental health, and reach more individuals. Accessibility to technology is critical, since it advances healthcare and wellness overall. Thresholds is so proud to have been part of this groundbreaking study. We are looking forward to the future of mental healthcare!